What Will Happen if We Have a New Fiscal Crisis? Slow economic growth, averaging just 2% since the end of the Great Recession in June 2009. This means fewer new jobs and smaller raises. Massive debt, now 77% of GDP for the public part on which we pay interest, the largest since the end of WWII and predicted by the CBO to keep getting worse. As interest rates rise from their currently unusually low levels, interest payments on the debt will skyrocket. The first problem, slow growth, is being addressed by the Trump Administration with various deregulatory actions as well as likely tax reform action by Congress. Furthermore, the current low 4.4% unemployment rate means that the labor market is tightening on its own. First, the unthinkable. We default on our debt. This would immediately end the role of the U.S. dollar as the international currency and end our superpower status. The fallout would be disastrous for world peace and stability. Second, a huge tax increase. The only alternative to default will be a large tax increase just to keep afloat on interest payments. A likely new tax for this purpose is a consumption tax in the form of a value added tax. Conclusion. 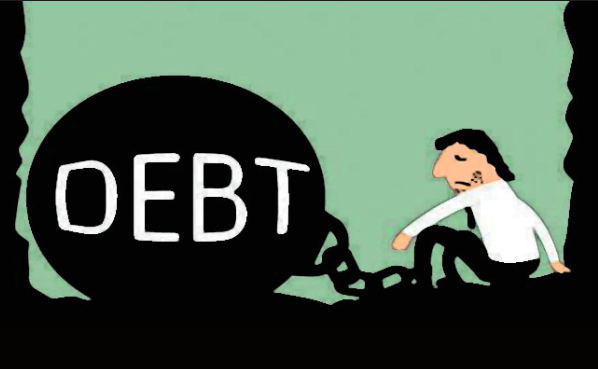 It is extremely shortsighted to keep on delaying a necessary solution to our rapidly worsening debt problem. It’s going to be unpleasant to either cut back on spending or to raise taxes but the longer we delay action the more painful it will become in the end. Isn’t it obvious that we should get started immediately? This entry was posted in consumption tax, debt, deficit, Donald Trump, economic growth, Jack Heidel, T.R. Reid, tax reform, tax revenue, Value Added Tax, VAT and tagged consumption tax, cutting spending, debt, deficit, Deficit spending, Donald Trump, economic growth, fiscal responsibility, jack heidel, tax reform by jackheidel. Bookmark the permalink. For a long time, I have envisioned a scenario in the future occurring during a deep recession that goes as follows. A large metropolitan hospital slowly began to use a line of credit to finance its cash flow. Slowly but surely, the interest cost of this began to be part of the monthly financial support process. With a recession, healthcare demand decreased substantially. Little known generally, this change in demand is normal during a recession. At the same time, the lending bank encounter financial instability. This led to a call on the hospital’s line of credit. Without the liquid capital to manage the size of the line of credit, the hospital printed closure notices with a 30 day notice of locking all of its doors. In a situation like this Congress can provide emergency bailouts. But this will just postpone the basic problem. Eventually we will need fundamental fiscal reform. How bad will things have to get before we start doing this?